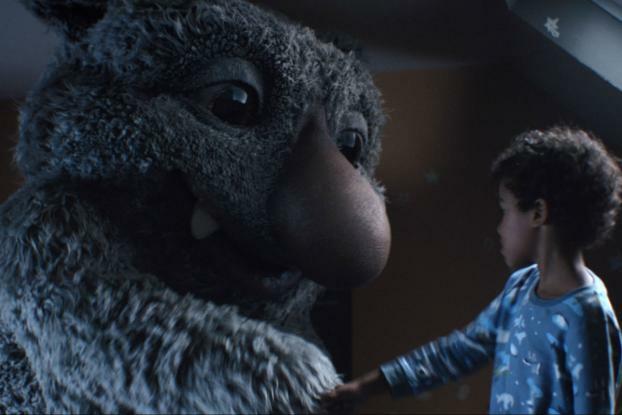 This year's much-anticipated John Lewis Christmas spot is the story of a huge, friendly monster who hides out under a child's bed and becomes his best friend. "Moz the Monster" is directed by Michel Gondry, an Oscar winner for "Eternal Sunshine of the Spotless Mind," as well as veteran of commercials for Levi's and Apple. The French director brings his magical, quirky touch to the narrative, created by Adam&Eve/DDB and set to a cover version of The Beatles' "Golden Slumbers," recorded by British band Elbow. The story concerns Joe, a little boy who first hears the snoring, farting monster under his bed and crossly puts a sign up on his door saying "No Monsters Allowed." However, he comes to be friends with the seven-foot creature, playing with him every night--although when his father looks in through the door, all he can see is Joe alone in his bed. But the nighttime fun takes its toll when he starts falling asleep in class and even during a soccer game. On Christmas morning, he finds a badly-wrapped gift under the tree--could it be from the monster? It's a night light, which has the miraculous effect of making the monster disappear and letting him get some sleep--although he can still get his friend back in a second by switching the nightlight off. 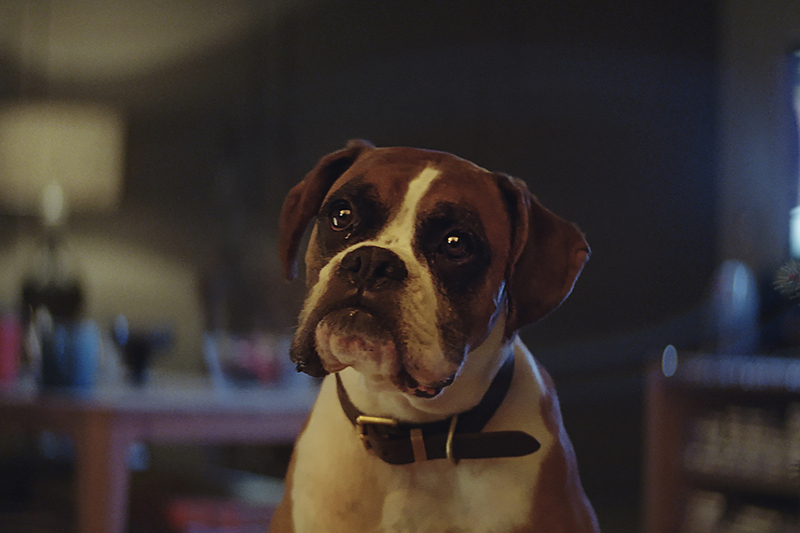 With its focus on an adorable child and his (maybe imaginary) friend, the ad is perhaps most reminiscent of John Lewis's 2014 campaign, Monty's Christmas, which won the Effectiveness Grand Prix at Cannes in 2016 and contributed to 132 million pounds on sales growth for the retailer. John Lewis will be hoping for a similar effect this year in a tough U.K. trading environment impacted by Brexit fears. 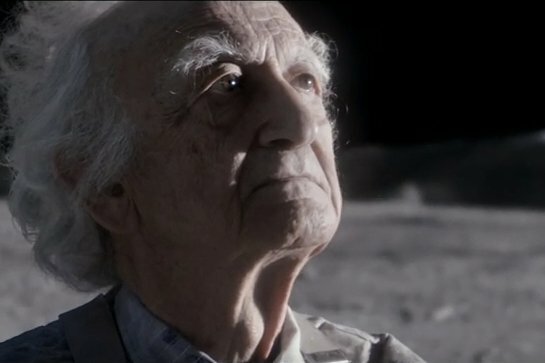 Gondry, who directed via Partizan, comments on the ad in a statement: "When I told my ex-girlfriend I was doing the next John Lewis Christmas film she said: You have big shoes to fill, this John Lewis commercial must make people cry, don't forget. Last week I showed it to her and she cried. Phew." 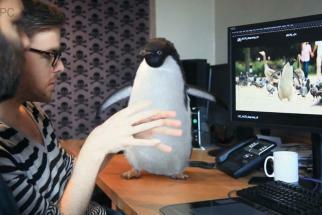 The Mill was responsible for post production on the spot, but Moz the Monster was portrayed by puppeteers, rather than just CGI. Joe is played by twin actors. Merchandise from the campaign includes pajamas, slippers, a book and a Moz plush toy, with a portion of sales going as donations to children's charity Barnardos. The campaign also includes many digital elements: on Facebook there will be an augmented reality feature, created by Stink, allowing people to "Mozify" their face using their Facebook camera, and in 10 stores customers will be able to create their own monster selfie at a Monster Maker station. A recording of actor Sally Phillips reading the "Moz The Monster" story will be available for download from johnlewis.com, Sky boxes and Google Home, and Google Home customers will also be able to personalize their story choosing their own sounds effects (including their own fart noise). Meanwhile, at the John Lewis flagship shop on London's Oxford Street there will be "farting and snoring" windows. A day before the campaign broke, the retailer teased it with "monster eyes" appearing in the "o" and "e" of John Lewis on several of its stores.